I am renting an instrument and my child no longer wants to play it, what should I do? 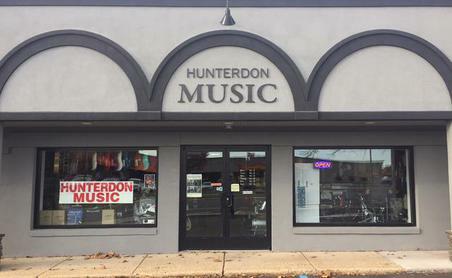 Simply return your instrument to our store and we will terminate your account. You are never under any long-term obligation to keep it. I am currently renting an instrument and we want to own it, what should I do? If you want to own the instrument you can pay off your account balance with a discount. Contact us and we can confirm with you what your pay off amount will be. I am renting an instrument and my child wants to switch to another instrument, what should I do? Bring the instrument you currently have to the store and we can do an exchange on your account. There will be a small exchange fee to to this. I have a _____, do you repair those? Most of the time the answer is yes. We repair all band and string instruments here at out store. If the instrument needs more extensive repairs we may send it out to a specialty shop for an "overhaul". If you have electrical problems with a guitar, amp, or keyboard that may require being sent out to a specialist. I have an instrument that has been sitting around for 30 years, can it be made to play again? We don't know until we see it. Bring it to the store and leave it for our technicians to look at it. We will then contact you to let you know what it needs and how much it will cost. You will need to leave your instrument with us. You will be quoted a time-frame when you leave it. Typically it is under one week, but during "back-to-school" season (Aug-Oct) it will likely be longer. How much will it cost to repair my instrument? We don't know until we see it. Depending on what it needs costs can vary. We typically will contact you with a quote before we do any costly repairs. 14 days if the item is in original condition with original packaging. Do you do lessons at your store? No, we do not. But, we can refer you to many good instructors in the area. I want an item that you don't carry in stock, what can I do? We can do a special order for you. You will need to pay a deposit on your item.